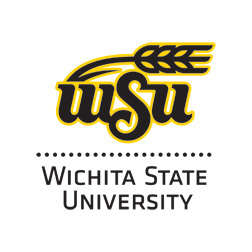 Wichita State University’s College of Engineering is committed to serving as an essential educational and economic driver for Kansas and the greater public good. With an emphasis on experiential learning, our program uses applied learning and research to unleash student creativity, cultivating the entrepreneurial mindset and skillset necessary for our graduates to advance economic and technological prosperity, health and well-being in the region and beyond. Membership in KEEN is integral to Wichita State’s transformation into an Innovation University focused on applied learning, entrepreneurship and economic impact. We have just opened our new Experiential Engineering Building, designed to promote hands-on, collaborative learning and to develop the innovative and entrepreneurial mindset in our students. Affiliation with KEEN will enhance our development of a faculty culture prepared to teach in this environment, fostering KEEN’s 3C’s of curiosity, connections and value creation. "Network membership will help us blend the key ingredients necessary for our students to excel in their careers: mindset, skill set, and hands-on experience."